Thread: Missing Kuids? Post them here. The Fuchs 712 Railkraan is available at http://www.amazingmike.nl/html/utc/dutch/fuchs712.html. There are some nasty popups at the website ! The download is an .ace file, which has to be unpacked (I used UniExtract). After unpacking You have to import the folder "Fuchs 712 Railkraan_engines", which has the required enginespec. Last edited by p-dehnert; December 2nd, 2018 at 02:38 AM. trainz does not say missing kuids but this model (trainz 2006 model) does not work can you sill fix it? 506034:656410, 506034:656436, 506034:656429, 506034:4357297 and 506034:4357298 by wearsprada. Mods, please make this post sticky. I've been inspired by threads over on the SI3D forums for missing kuids post, and thought that the Trainz Forums should have a similar post. If you have missing kuids, post them here, and respective users should know what or where to get the kuid. 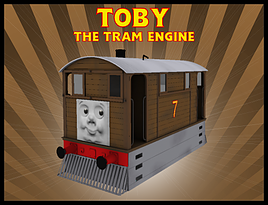 You will need to also post the Trainz version and the build as well. It appears that Barti_1's site has gone down meaning that his carton box pallet sets are now unavailable, even when using wayback. Both are "Built-In" (first in sc367f, sc372_f4, sc425_f3 and ta369f folders, second in sc367f). I think was something to do with the trainzup site. TKI knows the answer (and the links).